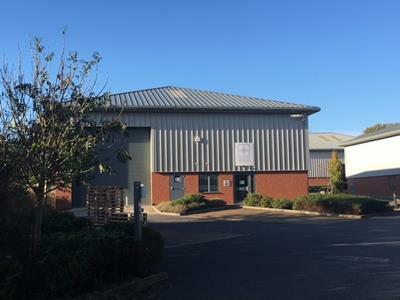 The property comprises a modern steel portal frame warehouse building which comprises ground floor entrance lobby with offices either side, kitchen, WC and large office to the rear. Surrounding the office area is warehouse space which includes works WC and office. There is a first floor mezzanine space above the ground floor offices. The offices include carpet to the floors, suspended ceilings, Category 2 lighting and electric heating. The warehouse includes concrete floor, large loading door (5m x 5m), sodium lighting and an eaves height of 5.6m rising clear. The property also benefits from fire alarm system, burglar alarm system, Digiclear broadband with up to 200gb available. The property has 8 parking spaces to the front and side.